With experience across retail, construction and executive search, Stuart established his own wealth management business over a decade ago to provide advice and support to high-net worth individuals, families, and companies. In December 2015, Stuart joined Simply Ethical as their Chief Investment Officer, where alongside his fellow Directors he is driving an innovative and fresh approach to managing Sharia-observant ethical investments. With a keen interest in new technology, he is supporting organisations in advancing this area to find new ways of developing the financial and banking sectors, especially around delivery and inclusion. 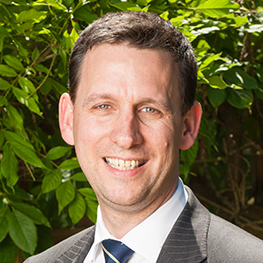 Stuart is a Chartered Fellow of the Chartered Institute for Securities and Investments (CISI) and a qualified Financial Planner. He holds the Islamic Finance Qualification and is an External Specialist Advisor to the CISI on Islamic Finance. Over recent years, he has spoken at many events in the UK, Europe, Middle East and Far East, on topics such as the integration of ethical and Islamic finance and the development of technology in this sector. He contributes to many papers and has written sections for books in Europe and Malaysia. Outside of financial services, Stuart holds several Trustee and Non-Executive positions on Boards for a variety of organisations.